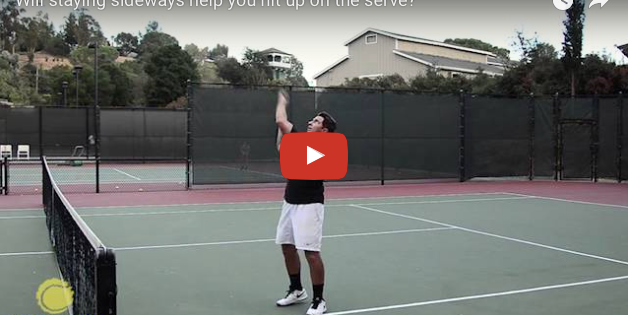 ETI 047 | Will Staying Sideways help you hit up on the serve? The common problem I see at the club, as well as on television, is where the server flexes at the waist at the hit – more or less jackknifing to create a little more ball speed. And this action creates both forward and downward forces – and is generally associated with netted serves.